Verandah Types - Which style of verandahs is best for your home in Adelaide? Which verandah types would suit your home? If you love to soak in the atmosphere of the outdoors while relaxing on the verandah of your home, it’s an easy addition to your property that often adds thousands of dollars of value to your property. Perfect for enjoying the outdoors while being protected from the elements, a verandah is ideal for adding extra living space to your home and expanding the liveable area of your home as your family grows. 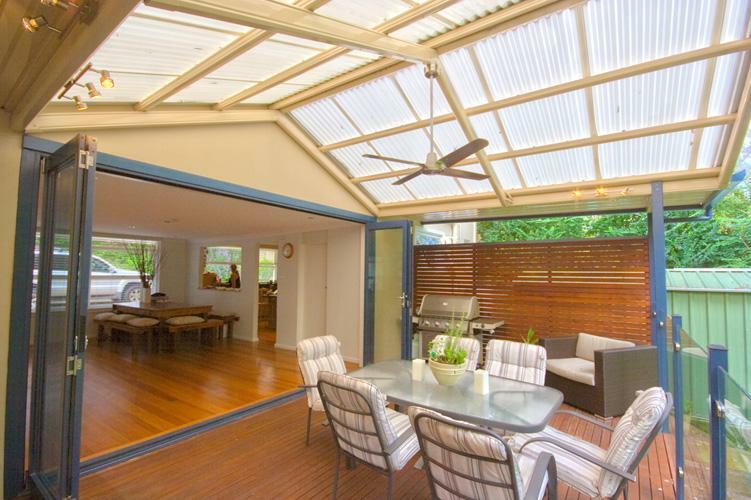 Whether you make your verandah from steel, timber or any other material, there is a wide range of styles and options to consider when you jump into the market for a new verandah or an extension for your existing home. So which verandah types are best for your home? In this article, we explore the amazing options homeowners have for verandahs on their property and the wide range of benefits of having a verandah installed in your home. What is a verandah? And what verandah types are available? Originally the idea of the verandah came from India and has circled the world for a variety of uses for the home. Essentially an outdoor room, a verandah adds considerable amounts of living space to your property and allows for a covered area for residents to enjoy the weather and the outdoors without having to worry about the elements such as rain, wind and heat. Verandahs have been a tremendously popular option for Australian homes since the 1800’s and have been a common feature for Australian properties due to their ability to add considerable amounts of extra living space to the floor plan of the home. Whether you are residing in a family home in Adelaide or a single terrace across Australia, there are verandahs of all sizes and options in every town and city across the country. Verandahs can be added on to existing properties or installed in new build and can either be matched to the existing building or contrast to suit the style of the façade. Whatever style, look or theme you’re looking to create there is a verandah to suit every taste. Benefits of a verandah in your home – and which verandah types are best suited for Adelaide homes? If you are toying with the idea of adding a verandah to your property, there are plenty of benefits to consider to help you in the process. While you might not be sure if you are willing to invest in a verandah the benefits far outweigh the cost of installing a verandah to your home. Outdoor entertaining all year – in Australia we all love to entertain year round due to the comfortable climate and the year round ability to enjoy the outdoors. While there can be a few chilly night during the Adelaide winter, installing a verandah allows for property owners to enjoy their outdoor entertaining all year round and as well as this store outdoor furniture BBQ and other outdoor facilities safely and securely under cover. Added feature to your home – verandahs add value to your home due to the fact they essentially add an extra room to your existing home and allow for extra living space for residents of the property. If you are looking to sell in the future or generate additional equity in your property adding a verandah could be just the thing for your home. Looks attractive from the outside – when a verandah is added to the outdoor of a home or property it essentially works to frame the house and make it look attractive. There is a wide range of verandah options including features that can tie in the existing style of the home and enhance the street appeal of the property. Protects your home from the elements – a verandah has a very effective function when it comes to protecting your home from natural elements. Whether you experience high amounts of rain or heat on your property, a verandah acts to protect your family and shield you from the elements making for a more pleasurable and comfortable experience within the home. Adds value to the property – it’s been indicated that a verandah can boost the value of your property by as much as $20,000 depending on the style of verandah you invest in. A well-designed verandah adds a certain element of visual appeal and presents your home to your guests, family and friends in a warm and inviting way. 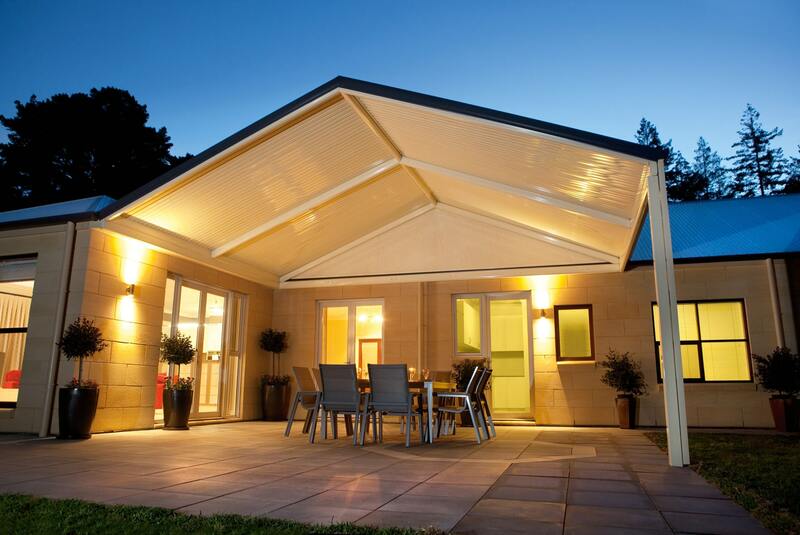 Depending on the era of your home there is a wide range of styles and options for verandahs. Often older homes in Adelaide will have verandahs created from bricks and a galvanised or Colorbond roof which works wonderfully to protect the home from the elements and provide the coverage and added space you need in your home and outdoor living. Steel roofing is a particularly durable option for a verandah and adds a smooth and functional finish to the outside of your property. Whether you use Colorbond or other materials for your verandah, adding an outdoor space will allow for a lifestyle solution that adds the entertaining, storage or outdoor living area you’ve always dreamed of in your home. There is a wide range of types of verandahs for your home that is outlined below, all of which can be quoted on by a specialist verandah and roofing installer. Curved verandah types – a curved verandah has a curved roof that is created for a modern look that can work to enhance the overall look of the main property. A curved roof will also suit properties with curved roofs and add a focal point to the structure. Flat verandah types – this style of verandah works to be a versatile option to your home and is usually the most common style of verandah for homes across Australia. The verandah roof works as an extension of the property and gives extra space to the property without standing out or stopping the flow of the property. Sunroof verandah types – some verandahs have the option of adding a panel of sheer material to the roof to add in an additional light source and provide a sunny addition to light up your outdoor space. Weather proof and designed to withstand the elements, the sunroof style of verandah works for shaded areas or spaces that need additional light sources. Also, there are options for louvred roofs on verandahs, which can be added to increase ventilation and the flow of air throughout the space. Gabled roof verandah types – this style of verandah is perfect for homes or properties with a pitched roof and works to add in an extension of outdoor space that matches the remaining structure of the home. Gabled roofs make way for adding in lighting and fans and also stand out as a featured are for alfresco dining and entertaining. At the end of the day, the style of verandah that would suit your home can be easily drawn up by a professional roofing and verandah expert to provide a view ahead of time of what your selected verandah style will look like. It’s important to ensure you select a verandah that blends in with your home style, colours, materials and appearance to allow for a seamless look that adds value to your home. 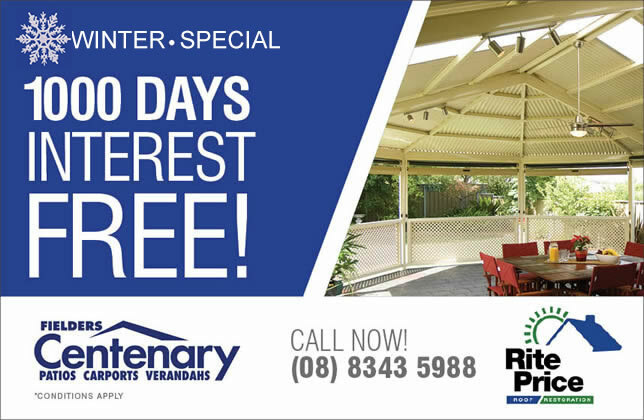 Rite Price Roofing uses the Fielders Centenary range of verandahs for clients across Adelaide. Field Centenary are the experts in creating patios, carports and verandahs and offer quality verandah options that are professionally engineered to comply with Australia’s strict standards and all come with an extensive 15-year guarantee. Professionally crafted to meet the unique needs of your property, Fielders Centenary offer a wide range of options for extending the living space of your home and adding in extra entertaining space that allows improves the usability and floor space options within your property. Rite Price Roofing use products from the Fields range due to their premium quality and a wide range of colours, selections and finishes. Ready to arrange a quote for your new verandah? If you are ready to take the next step and arrange a quote for a new verandah for your home, Rite Price Roofing is ready to visit you onsite at your home and run through the wide range of options available for your outdoor living space. Our team are professional roofing experts all with the experience and knowledge of the roofing industry to provide quality roofing options that will suit your space and extend your liveable area, adding value to your home and as well as additional living space for your family to enjoy. If you are looking for a clean and elegant verandah that is made from strong and durable materials that will stand the test of time in Australia’s harsh environment, contact the team today to arrange a quote and discuss how Rite Price Roofing can add serious value to your home with a quality verandah solution. Rite Price Roofing service all of Adelaide and surrounds and can meet you onsite and arrange a quote and suggestions to create the perfect verandah to meet your needs and budget. Don’t waste your time with a DIY or inferior verandah installer, choose a solution that adds value to your property and stands the test of time.